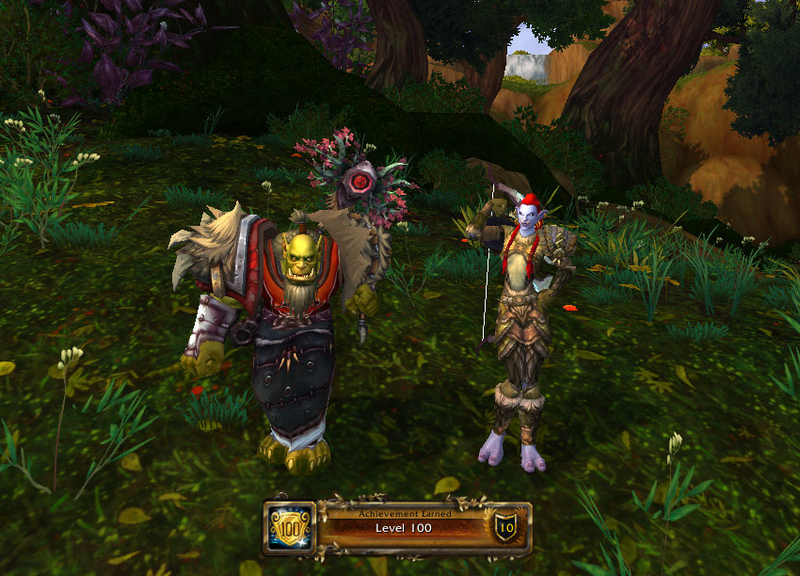 It's World of Warcraft's 10th anniversary this year, and given that the latest expansion, Warlords of Draenor, came out a week ago, Seeg and I have been busy playing together. We don't really play many games together, it's really only WoW or Pokemon, otherwise I watch him play all the others, like Assassin's Creed which was also released a week ago, or Dragon Age which comes out tomorrow. It's been an interesting expansion so far, keeping a lot of the elements from Mists of Pandaria which I loved, like finding random items like weapons or junk that has been abandoned in the past which can either still be used or just sold for a nice sum of gold, but it's also added new things like the ability to tame mounts rather than just buying them from a vendor. It's an exceptionally pretty expansion, but it also holds a lot of interest in terms of the game's lore, which is extremely deep - World of Warcraft stems from the original game, Warcraft, which was released in 1994. Then came Warcraft 2, then Warcraft 3, and then World of Warcraft, the latter of which is an MMORPG rather than an RTS and continues the story more fluidly than the Warcraft games, which focused on the great wars, starting with the first invasion of the Orcs from Draenor. World of Warcraft's very first expansion was the Burning Crusade, which took place in 'Outland' - it's little more than a giant floating rock to be honest, and it's what remains of the world of Draenor after a massive invasion by the demonic forces of the Burning Legion. It consisted of a continent made up of 7 zones which all different from eachother, but next to none of which were particularly pretty places. Nagrand was the closest to pretty, but it, too, was in ruins. Warlords of Draenor sees Draenor as it could have been had the demonic forces not destroyed the world, though they're still trying to but they're a long way off. As a result, it's pretty amazing seeing some of the zones players levelled through 7 years ago still in one piece. There are a lot of forested areas, but there are some areas that, of course, didn't exist in Outland like the Spires of Arak with - you guessed it - stone spires and thick, dark forests. Zangarmarsh in Outland is a marshland zone with giant fungi instead of trees, a deep blue hue and generally feels alien. In Draenor, it turns out that the entirety of Zangarmarsh was actually underwater, part of the Zangar Sea. New character models were released a month before the expansion, updating the models of all NPCs and player characters from the original game to much better models. As time passes, graphics improve and so does their utilisation. While things looked amazing 10 years ago, they look dated now, but sometimes you just don't notice it. Graphics aren't as important to me as a smooth-running game so I never looked too closely at it, but once the new models came out I couldn't believe how bad they used to look. Trolls were my favourite race, and I, of course, played a female, but they always felt unfinished. Still, I loved them, and I thought my character, Daeaye, looked great. But with the release of the new models (which sort of made me go off of some of my previous favourite characters), Daeaye looks simply incredible. Just by updating the character models they've made the game feel entirely new, and with a new expansion again, we're running new content with the new character models and it feels so shiny. It's been great to see the game revived especially with not only seeing an old zone how it should have been, but also seeing famous faces from the three Great Wars still alive and kicking while they'd each usually be dead for one reason or another, such as Durotan, Gul'dan, Orgrim and Grommash, which is another big deal. It's also been nice to have some new fantasy to throw myself into. With Christmas sales pouring in I've been too tired to do much writing, so it's nice to have something simple and immersive to do, especially since it's something I can do with Seeg, and I think most people would agree that games are always better when you can share the shocks, the laughs and the adventure with someone else. The end of the Assassin's Creed 3 intro, for example.